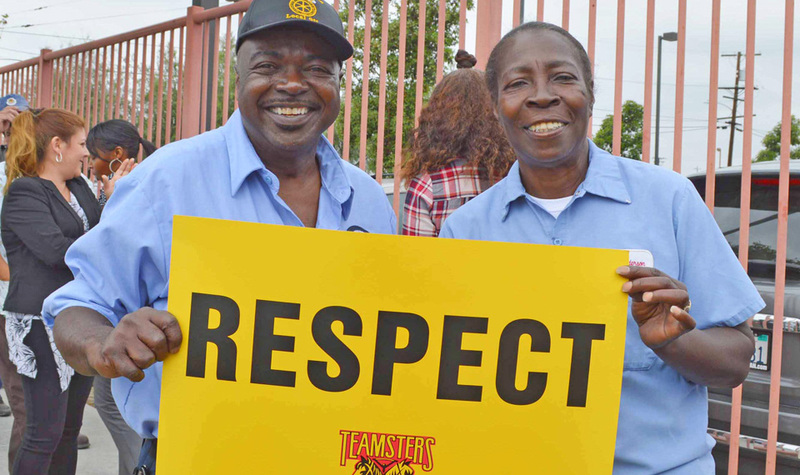 From California to Connecticut, the workers in four locations recently voted to join the Teamsters union. Two of the groups aren’t over-the-road truckers: one is a unit of firefighters and another a unit of school bus drivers. The common themes in all four wins were the demands of the workers for fair wages, decent health insurance and respect on the job. A group of rural firefighters, battalion chiefs, captains, lieutenants, engineer lieutenants and administrative assistants near Stockton, California voted to join Teamsters Local 439. They work for the French Camp-McKinley Fire Protection District. Meanwhile, in Uncasville, Connecticut, the Teamsters’ long-running Drive Up Standards campaign at First Student Bus Co., one of the nation’s largest private school bus operators, scored another win on Columbus Day. The Uncasville drivers will become part of the Teamsters’ national agreement with First Student, which has won improved working conditions for school bus drivers elsewhere in the Nutmeg State, said union leader Tom Schlink. Elsewhere, in Aurora, Illinois, drivers at XPO Logistics, the former Con-Way Freight company, voted October 13 to join Teamsters Local 179 based in Joliet. Key issues were affordable, decent health care, retirement security, better working conditions and respect, said Local 1798 President Tom Flynn. The day before, on October 12, XPO warehouse workers in North Haven, Connecticut, voted to join Local 443. Furthermore, XPO warehouse workers in King of Prussia, Pennsylvania have filed for a representation vote, though no date has been set. The Teamsters already represents XPO workers in Miami, Laredo, Texas, and Vernon, California.